Losing a tooth leads to a host of problems, especially when the issue is not addressed right away. Your smile becomes incomplete, and the gap that is left with one missing tooth can wreck you’re the attractiveness of your entire smile. A single tooth missing from the front portion of your mouth will instantly make your smile look unhealthy and unattractive. The rest of your teeth can also shift because of the space left by the missing tooth. The loss of a single tooth can also cause your jawbone to deteriorate; with the passage of time, the appearance of your jaw will be affected because of this bone deterioration. Do you have a missing tooth? Would you like to make your smile complete once again? You can enjoy a healthy-looking smile even after you lose a single tooth, with the help of dental implants at Life Dental Implants in London. 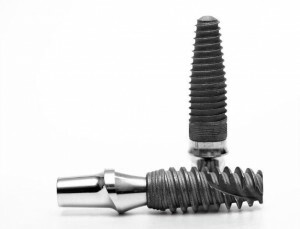 A dental implant can effectively replace the healthy appearance and proper function of a single tooth lost. The implant also replaces the function of the lost tooth root, and stimulates the jawbone so that bone deterioration can be prevented. The implant is attached to a dental crown that makes your smile complete once again, in a natural-looking way. The unsightly gap caused by one missing tooth will successfully be filled out with the dental implant and the dental crown – so you can enjoy a complete smile once more.